The sleeper’s interior features a lower bunk with storage underneath and a choice of either a cargo shelf for additional storage or an upper bunk with a telescoping ladder. The model also offers a longer wardrobe cabinet, a microwave cabinet, an optional bracket for a flatscreen TV and an area for customer-supplied refrigerators or coolers. “With the shorter wheelbase and reduced weight versus a 72-inch sleeper, this truck spec is lighter and more maneuverable, while still giving drivers a comfortable, spacious area to work and rest,” said Mike McHorse, Freightliner’s manager of on-highway product marketing. 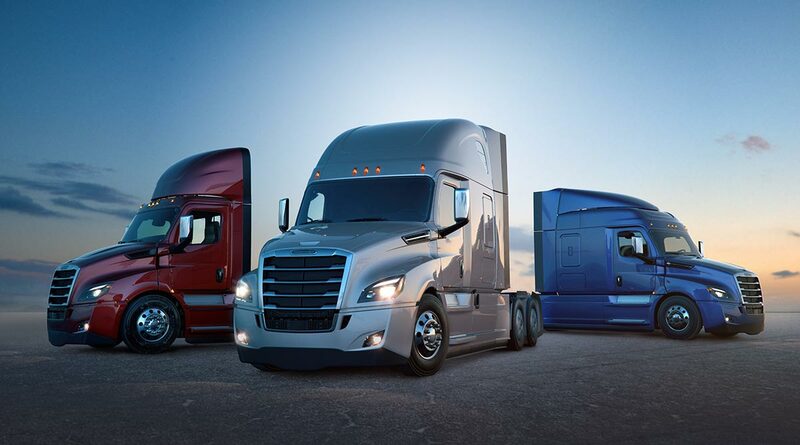 Freightliner, a brand of Portland, Ore.-based Daimler Trucks North America, said orders can be made for all cab configurations for January delivery. Freightliner reports the new Cascadia has received more than 30,000 orders since it was launched in September 2016, easily surpassing the total number of orders for the first three years after the original Cascadia debuted. The new 60-inch model joins 48-, 60- and 72-inch mid-roof XT sleeper cabs in both 116- and 126-inch BBC platforms. Those models are designed for regional overnight haulers and bulk haul and flat-bed applications.